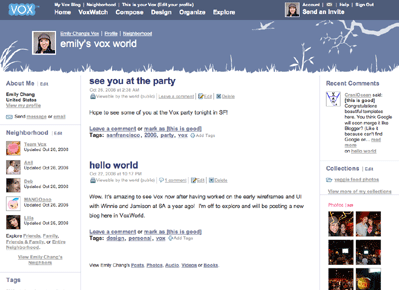 Vox is Six Apart's blog service that puts the emphasis on personal blogging and sharing with friends and family. Six Apart, a leading weblog company, hired us to design two blog themes for Vox, its newly launched personal blogging service. 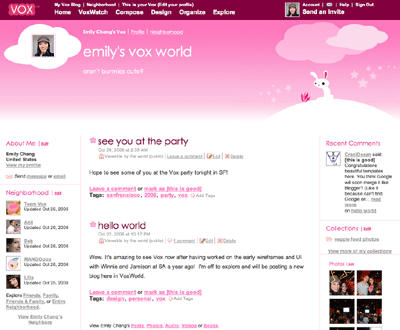 We created two themes: “Bunnylicious” and “Zen” with multiple color choices for each theme.